When first established in 1995, the Business Court was touted as a way to make North Carolina’s “court system as responsive and predictable as the Delaware Chancery Court in dealing with complex corporate issues.” The Business Court has largely delivered on its promise of ease of use and predictability based, in part, on assignment of cases to a single (and highly qualified) Business Court judge and an e-filing system that practitioners could utilize from any jungle paradise (with wi-fi access). Practitioners must take heed, however. At the end of each Business Court case lurks a menacing tiger: North Carolina appellate practice and procedure! Over the past two years, at least seven different appellate traps have emerged for North Carolina Business Court cases, many of which have resulted in dismissal of appeals. Those traps have been discussed extensively on our North Carolina Appellate Practice Blog (www.ncapb.com). This article summarizes several potential snares, with links to the detailed blog posts for those who seek more information about taming the beast. Your Filing Deadline In The North Carolina Business Court Is Before 5:00 p.m. On The Day The Document Is Due. Before January 1, 2017, the Business Court Rules effectively required a party to file by 4:00 p.m. on the day the document was due, to allow time to resolve any possible technical glitch in the electronic filing system. The 2017 Business Court Rules, which apply to all business court cases regardless of designation date, relax those Rules somewhat. A party experiencing technical difficulties with filing will be deemed to have timely filed under new Rule 3.10 provided the party makes at least two attempts to e-file and notifies the court of the technical difficulties by e-mail sent to filinghelp@ncbusinesscourt.net, probably all before 5:00 p.m. Thus, as before, a party should still leave a filing cushion before the 5:00 p.m. deadline to ensure compliance with the rules. Bottom line: You should begin the process of e-filing well before 5:00 p.m.—especially for time-sensitive documents like notices of appeal and notices of designation. Notices Of Appeal Must Be Filed In Both The North Carolina Business Court And In The “Home County” By The Appeal Deadline. Appellate Rule 3 requires that a notice of appeal be filed “with the clerk of superior court” within 30 days of the entry of the order or judgment being appealed. The Business Court has no clerk of court, however. The “clerk” referenced in Appellate Rule 3 is therefore the Clerk of Superior Court where the case was originally filed. If you fail to file the notice of appeal in the “home county” by the 30-day deadline, your appeal will be dismissed. Bottom line: File your notice of appeal in both the Business Court and in the “home county” by the 30-day appeal deadline. And for good measure, timely serve your notice of appeal using the “old school” method too—either by hand delivery or regular mail. Have A Filed-Stamped Notice Of Appeal In Hand Before The Appeal Deadline. The Business Court recently dismissed an appeal where a notice of appeal was mailed by commercial delivery service, using the proper address, to the “home county” courthouse well in advance of the appeal deadline. The appealing attorney even received a written delivery confirmation. Apparently, however, the package was initially delivered to the Sheriff’s department, which shares the same building as the Clerk of Court. The day after the deadline, appellant’s counsel called the Clerk’s office, which found the original mailed notice of appeal—unstamped. The clerk immediately stamped the notice of appeal, but it was too late, by one day. The Sheriff’s department submitted an affidavit stating that it routinely reroutes mail to the Clerk’s office by the next business day. However, the Business Court—applying “strict construction”—dismissed the appeal as untimely. Bottom line: Until you lay eyes on a filed-stamped notice of appeal, assume the notice of appeal has not been properly filed. Notices Of Designation Must Be Timely Filed In Both The Business Court And The Home County. Under “old” Rule 8.1 and “new” Rule 3.11, the documents listed in N.C. R. Civ. P. 5(d) must be filed in both the Business Court and the “home county.” The Notice of Designation is required to be filed by statute. N.C.G.S. § 7A-45.4. You must therefore file your notice of designation in both the Business Court and with the “home county” by the deadline provided under N.C.G.S. Section 7A-45.4. Bottom line: Failure to timely file the notice of designation in both the Business Court and the “home” county will forfeit a party’s right to mandatory Business Court designation. You May Not Be Able To Appeal A Designation Order Until After Final Judgment. Before the passage of the Business Court Modernization Act in 2014, a party could appeal a Business Court’s decision on an objection to a mandatory business court designation by asking the Chief Justice of the Supreme Court to review it directly. Such appeals were swift and informal. After passage of the Act, a party may only appeal a mandatory designation decision if it affects a substantial right under N.C.G.S. Section 7A-27(a)(3)(a). Whether an appeal affects a substantial right is typically decided by the appellate courts based on the facts and circumstances of each case. The Supreme Court has determined, at least in one case, that an order upholding a mandatory complex business case designation did not affect a substantial right. Hanesbrands Inc. v. Fowler, No. 438A15 (N.C. Dec. 21, 2016). The Court has not addressed whether an order denying or revoking a Business Court designation affects a substantial right. In short, it may be that the Business Court’s ruling on a designation dispute is not reviewable until after a final judgment is entered. It remains to be seen whether the Supreme Court would actually nullify the entire proceedings of a case after final judgment if it finds that the case did not fit the statutory criteria for mandatory Business Court designation. Bottom line: A Business Court designation is probably not immediately appealable, and the parties will have to proceed with the litigation in the Business Court until final judgment. Appeal To The Proper Appellate Court—If You Can Figure Out Which One That Is. Which document determines the date that a case was “designated” to the Business Court? The filing of the notice of designation by a party in the home county? The filing of the notice of designation in the Business Court? The Chief Justice’s order preliminarily assigning the case to the North Carolina Business Court? Some other document? There is no definitive answer to this procedural predicament, yet. In an appeal from an order entered in consolidated actions, some of which were designated before October 1, 2014, and other actions that were designated on or after October 1, 2014, which designation date controls? In October 2014, a single Business Court order resolved four consolidated actions. Because the four actions had different designation dates, the order would appear to be appealable to the Supreme Court in three of the actions, while the exact same order would appear to be appealable to the North Carolina Court of Appeals in the fourth. The current solution is to 1) file notices of appeal to the correct appellate courts, and 2) after the records are docketed, ask the Supreme Court to consider a PDR Bypass Petition allowing the appeals to be consolidated into a single appeal before the Supreme Court. Bottom line: Check the dates of your designation documents to determine to which appellate court your appeal lies. You Must Include In Your Record On Appeal The Designation Documents Showing That You Have Appealed To The Correct Appellate Court. The appellate courts have an obligation to ensure they have jurisdiction in each appeal. Certain documents—like the order being appealed and the notice of appeal—have long been required to be included in the record on appeal to prove jurisdiction. The Court of Appeals recently held that the documents designating the case to the Business Court also fall into this same category of documents that are jurisdictionally required to be placed in the record. Designation documents are used to determine which version of N.C. Gen. Stat. § 7A-27 governs your appeal: the earlier version of the statute that requires appeal to the Court of Appeals, or the later one that requires appeal directly to the Supreme Court. Under recent case law, whether you have actually appealed to the correct appellate court is not the issue. Instead, the inquiry is whether the appellate record demonstrates that you have appealed to the correct appellate court. Even though the designation documents are publicly available on the Business Court’s website, do not count on the appellate courts taking judicial notice of those documents. Nor should you expect to have prior notice of a record deficiency before your appeal is dismissed for failure to demonstrate proper appellate jurisdiction. Finally, since it is unclear which pleading or order counts as the “official” designation document under the Business Court Modernization Act (see above), your best bet is to include the notice of designation, the business court’s order on designation, and the Supreme Court’s order on designation. Note: In July 2016, the key opinion on this issue was withdrawn in response to appellants' motion seeking to amend the record, asking the court to take judicial notice of the designation date, and requesting consideration of the case on the merits. No word on what the reissued opinion will say, but it is unlikely that the reissued opinion will completely abolish this trap. Bottom line: Include in your record on appeal all designation-related documents. And for good measure, explain in your appellate brief’s “Statement of Appellate Jurisdiction” why those designation documents show that you have appealed to the correct appellate court. Ambiguities In The Business Court Modernization Act May Have Left Unintentional Appellate Jurisdiction Over Some North Carolina Business Court Orders In The North Carolina Court Of Appeals. When originally passed in 2014, the Business Court Modernization Act contained language that arguably created concurrent appellate jurisdiction in both the Court of Appeals and Supreme Court over certain interlocutory orders from the Business Court. In the fall of 2015, the General Assembly passed a technical amendments bill that mostly fixed that concurrent appellate jurisdiction problem—at least for Business Court cases designated on or after October 1, 2015. A couple of glitches remain, however. First, there are at least three types of civil orders that can be immediately appealed: 1) final judgments, 2) interlocutory orders immediately appealable under Section 7A-27(a)(3), including substantial right appeals, and 3) interlocutory orders that are made immediately appealable by some statute other than Section 7A-27. The first two categories of orders are now directly appealable to the Supreme Court under Section 7A-27. But the statute does not expressly provide for direct appeal to the Supreme Court from the third category of orders—orders made appealable by statute, including: N.C.G.S. § 1A-1, Rule 54(b) (Rule 54(b) certification appeals); § 1-569.28 (appeal from certain interlocutory arbitration orders); § 1-277(b) (certain interlocutory appeals for lack of personal jurisdiction); and § 7A-45.4 (appeals from Business Court designation orders). Such orders are bound to be entered by the Business Court from time to time, creating an ambiguity as to which appellate court could properly hear an appeal from those orders. Second, Business Court judges occasionally are assigned to preside over regular sessions of court that are not “complex business cases.” However, inconsistent wording in Section 7A-27 may mean that for orders signed by a Business Court judge that are not complex business cases, final judgment appeals might proceed to the Court of Appeals, while appeals of interlocutory orders lie directly to the Supreme Court. While the General Assembly will probably fix these two glitches at some point, that fix will create another statutory “effective” date to keep straight. Bottom line: When determining which appellate court has jurisdiction over your appeal, first determine which of the three (and perhaps soon four) versions of N.C.G.S. Section 7A-27 applies—and then study that statute carefully. Hopefully, this article will help you avoid being bitten as you transition from the North Carolina Business Court to North Carolina’s appellate courts. Just remember: When appealing a Business Court decision, it’s a jungle out there! Beth Brooks Scherer and Matthew Nis Leerberg are attorneys with Smith Moore Leatherwood LLP in Raleigh. Both are Board Certified Appellate Practice Specialists and contributors to the North Carolina Appellate Practice Blog at www.ncapb.com. A prior version of this article first appeared in the June 2016 edition of “The Litigator,” a publication of the NCBA’s Litigation Section. 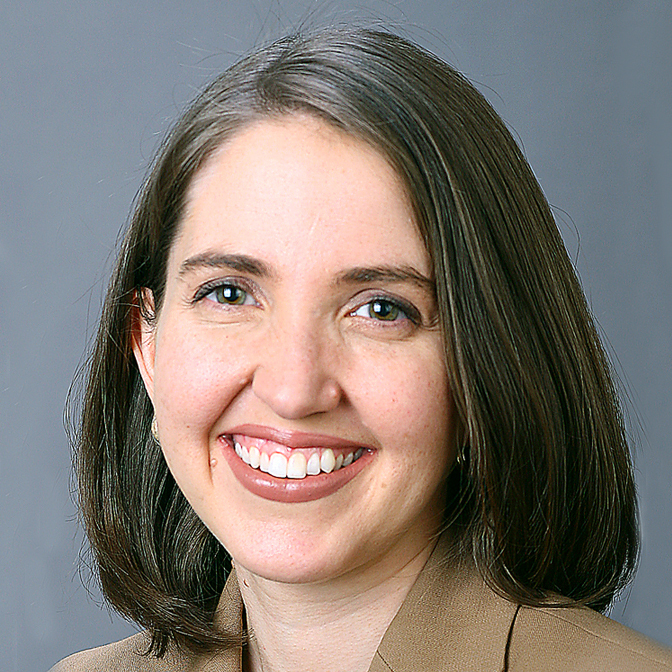 Beth Brooks Scherer is a Board Certified Appellate Practice Specialist with Smith Moore Leatherwood LLP in Raleigh. She is the current chair of the North Carolina State Bar’s Appellate Practice Specialization Committee and prior chair of the North Carolina Bar Association’s Appellate Rules Committee. She blogs frequently on issues of appellate practice and procedure for the North Carolina Appellate Practice Blog, www.ncapb.com, a convenient source of news, information, tips, and resources for practicing law in North Carolina’s State and Federal Appellate Courts.